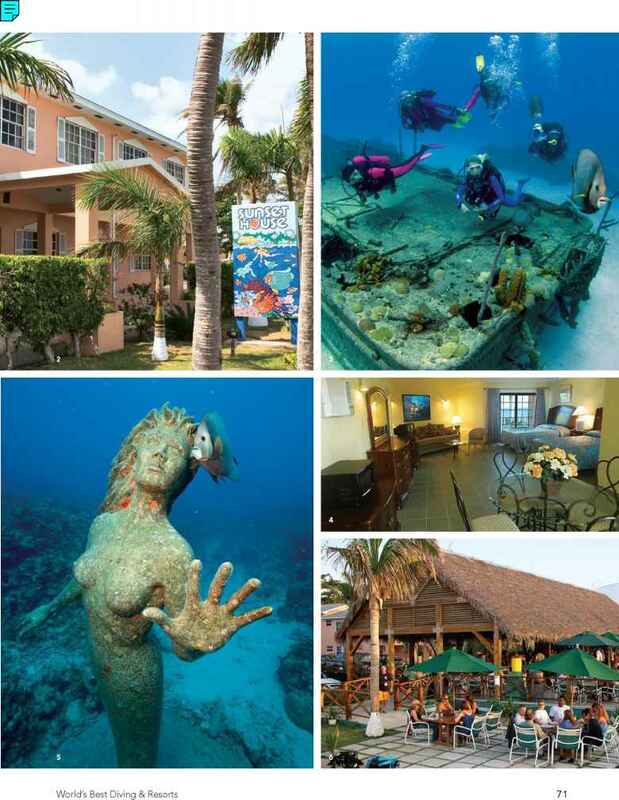 If there's one place in the world that defines the term "dive resort," it's Grand Cayman's Sunset House. Founded in 1958, this family-owned resort has been continually refined over the years to provide just the right blend of services and amenities. Sunset House still occupies the same piece of land, close to town and the airport but far enough away to avoid the hubbub. The grounds face the ocean from nearly every angle, whether you're having a casual lunch under the famous thatched roof at My Bar (nominated for Best Bar in the Caribbean by Caribbean Travel and Life), floating in the pool or sitting down to a romantic dinner at the SeaHarvest restaurant. 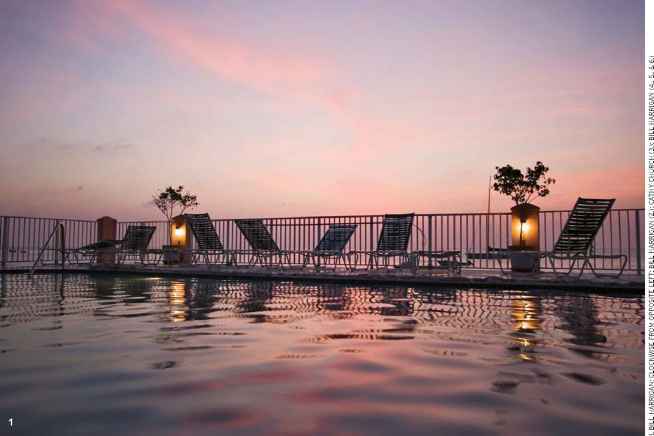 The accommodations have been beautifully upgraded and now include ocean- and courtyard-view rooms, suites and apartments. No changes are planned for that stunning golden sunset. Sunset Divers, a PADI Gold Palm Instructor Development Center, operates five custom dive boats, offering the flexibility to reach any dive site on the island. You can see it all from here, including West Bay, the North Wall, Stingray City, South Sound and the East End. Shore diving remains a perennial favorite and is accessible 24 hours a day. In addition to the house reef, divers can visit the bronze mermaid, Amphitrite, and the wreck of the Nicholson. Show up with only a pair of "C" cards — certification and credit — and Sunset Divers will outfit you with late-model rental gear, including new dive computers. As you would expect from a leader in dive travel, nitrox is available. 1. Pool at sunset 2. Exterior of resort 3. Diving the wreck of the Nicholson 4. Interior of rooms 5. Amphitrite 6. My Bar, social hub of Grand Cayman to both enlighten and delight the younger set. If you're traveling without kids, though, don't worry; Sunset House is home to the island's liveliest open-air watering hole, My Bar. Divers from all over the island congregate here to swap stories and watch the golden sunset that is the namesake of this iconic dive resort.